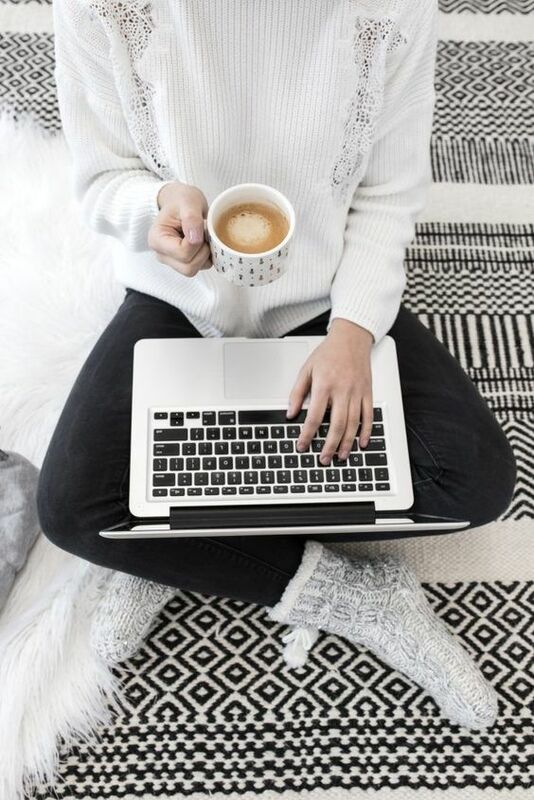 HomeFeaturedSimple tips and tricks that copywriters use to write catchy blog posts titles that convert and how you can do it too! You won't believe No. 7! Did you know that the art of getting readers to your site and actually keeping them there to read your awesome content lies heavily on your headlines and and article titles?! Think about it: creating great content is one thing, whilst having a hook that attracts your readers and compels them to spend their precious 3-5 minutes engaging with your content lies solely on how engaging and attention-grabbing your headlines are for your content! You might be pouring your heart and soul into crafting fantastic blog posts that truly help your readers, but without an awesome blog title, your post probably won’t get the clicks, reads, or shares it deserves. Because, get this: it's one thing to write great content, but it's quite another to get it read and ranking high on Goggle search; which is why learning the tips and tricks to writing catchy headlines and blog post titles comes in! So if you've ever thought to yourself: "how long should my headline be? What words should I use? Is optimising my blog post tittle for SEO important?…" and so on and so forth then drop what you're doing and carry-on reading! The reason why it's important to keep your headlines short and succinct is so that you can capture your reader's attention quickly as they're scanning which articles to read on the internet! You want to make your content catchy and compelling from the get-go, and the easiest way to do that is simply crafting short blog titles that are to the point and convey exactly what it is to expect from the content therein. This can be hard to do, but one trick that always works in terms of crafting attention-grabbing headlines is to describe WHO the article is aimed at. For example, "5 Ways New Moms are putting their new born to sleep without a fuss." When you read that: you'll instinctively know that that article is aimed at new moms that are looking for tips to put their new babies to sleep without all the hassle that comes with bedtime routines! If that's you, you're obviously going to be curious enough to click through the article and read it because the headline was aimed at you simply by using the keywords: mom, new born & sleep! The reason why you want to use numbers in your blog tittles is so that you can quantify the amount of value your article aims to impart. For example: "14 diets that will help you loose 10 pounds in 2 weeks"
This is a sure fire way to get your readers to click through the article and read it because the headline clearly explains the article will educate the reader about 14 diets that will help them loose 10 pounds in 2 weeks! Objectives are a secret-weapon that all the seasoned copy-writers use in order to convey their point of view succinctly and thus compel the reader to carry on reading! They are words like: funny, profitable, buzzing, ... and they are used by professional copy-writers to give more information. They modify or describe features and qualities of people, animals, and things. "7 funny ways to start a profitable blog." "The number one trick marketers use to build a buzzing email list"
Injecting your personality into your content means writing in your own voice: as in: write the way you speak so as to not only connect with your readers in a way that will make your content resonate, but also in a way that will make you - the content creator more human and thus appear more authentic especially since readers and consumers are more weary of trusting what they see or read online nowadays as we live in the age of "fake news" and "Instagram"
So have a bit of fun when crafting your blog post tittles and inject a bit of "you" into it - because if you don't do it, how else are you going to catch the attention of your tribe and attract them to read your awesome content?! As a Content Marketer myself, I would be remiss if I didn't mention the dreaded "SEO" ! So, as part of helping you and doing my due-diligence, it is worth noting how super important optimizing your content for SEO is - and to do that, you first have to start with your headlines and blog post titles my dear! To the uninitiated, SEO is an acronym for Search Engine Optimization and the reason why it is sooooo important to optimise your content and articles for search engine is so that whenever someone is searching for the kind of content your create, yours will be one of the first that appears in Google search and other search engines and thus increase your organic reach - which will increase your chances of gaining leads and attracting new clients & new customers! If you want to know more about how to get your business or blog more noticeable online, then I highly recommend that you read this article on "How To Get Your Business Noticed Online Using Free Digital Marketing Tools"
So, the simplest was to ensure that your headlines and blog post titles are SEO optimised is to determine the whole point or the moral of your post and the reason "WHY" you're writing your post. For example: I'm writing this post to teach you about the different tricks Content Marketers and Copywriters use to write catchy, attention-grabbing headlines that convert into leads or sales! So because of that, I made it a point to reference my big keywords in this article all throughout this entire article so as to make it easier for Google to know exactly what this article is about! Meaning, when someone goes searching for: "how to write a catchy headline like a copywriter" or "best tricks to write blog post titles that convert," then this article will pop up on Google because I've made it easier for Google to know exactly what this post is about by ensuring that keywords like: catchy headlines, "blog post titles", "convert", and "copywriter" that are on this post title also feature all throughout this article. Using Power Words is literally the number one trick that seasoned Marketers and Copywriters use in order to ensure that their content strategy converts into sales, leads or new clients and now you're about to be in on the secret my friend! So I'm sure by now you're wondering; what are Power Words? Well... simply put: power words are words that, you guessed it, have POWER to compel us to do exactly what Content marketers and Copywriters want us to do! How to Easily Create a Stunning ____ for Free! Catchy headlines and blog post titles are your number one tool for getting clicks, reads, and ensuring that your blog and content gets organic reach either on search engines or on social media. So because of this, ensuring that your headlines and blog post titles are catchy and that they convert is crucial in getting more blog traffic and building your brand. If you’re writing amazing in-depth posts that don’t get the attention they deserve, bland blog titles may to be blame. So follow through on these tips and see a huge change in your organic reach.